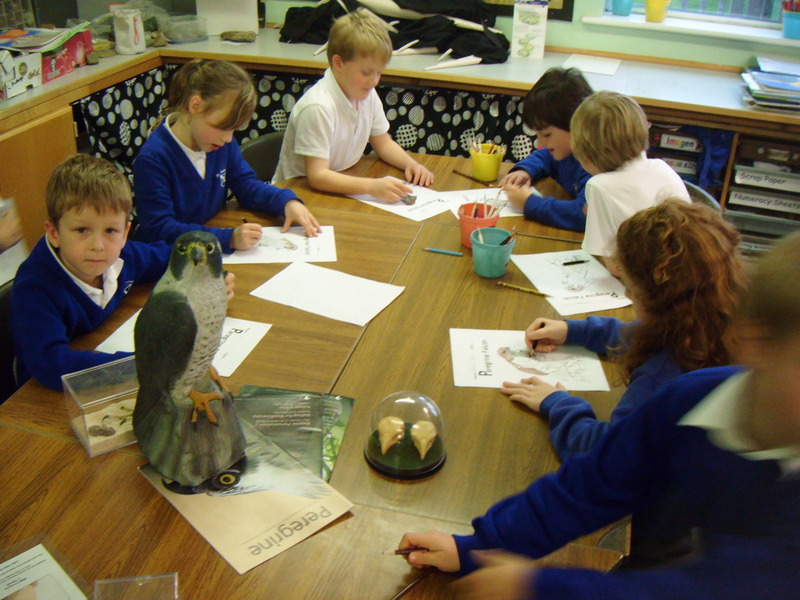 South West Peregrine now offer a unique learning experience for children and adults alike. The group who have been studying Peregrine Falcons throughout Devon and Cornwall since 2007 and recognise the importance of engagement with the local community and especially the chance to work with the conservationists of the future. We are an affiliated local group to the Hawk and Owl Trust, and can offer an exciting, visually stimulating and educational display to Adult groups or Children of most ages. For Schools the talk encompasses many of the core curriculum subjects ranging from Anatomy, Seasons and Materials meaning a relevance to what children are studying in class today. The display and talk does not involve any live animals, however, is full of engaging imagery, sound clips and videos as well as many interactive items for students from measuring their wingspan, to weighing the birds and understanding the life-cycle of this incredible animal (the fastest on the planet). Most importantly it offers a valuable close up experience of the Natural World that can be explored right here in the South West of England. The Peregrine is an apex predator that lives a life of survival and sometimes persecution and through education we can all help to change that mindset towards these predators. 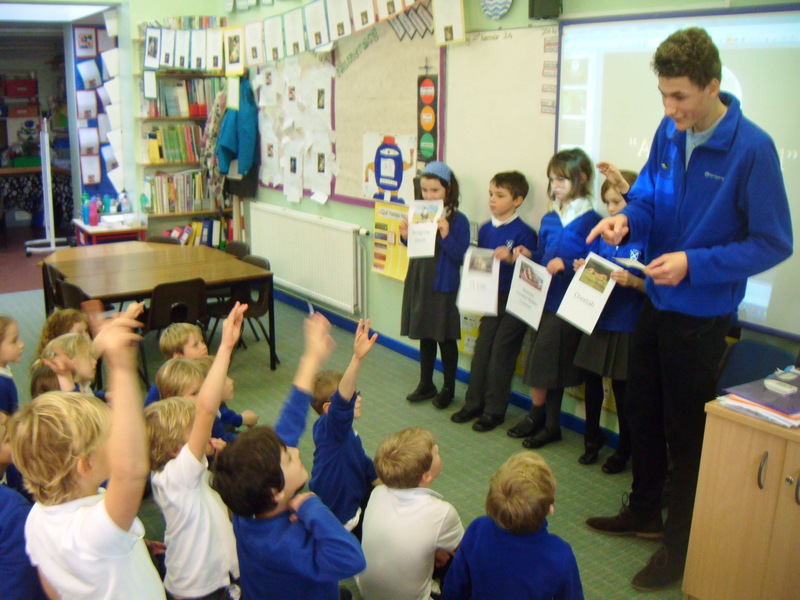 Interactive fun at St. Andrews Primary School, Devon. A small fee is charged to cover the groups travel and any expenses incurred. Please enquire at the time for the latest prices.